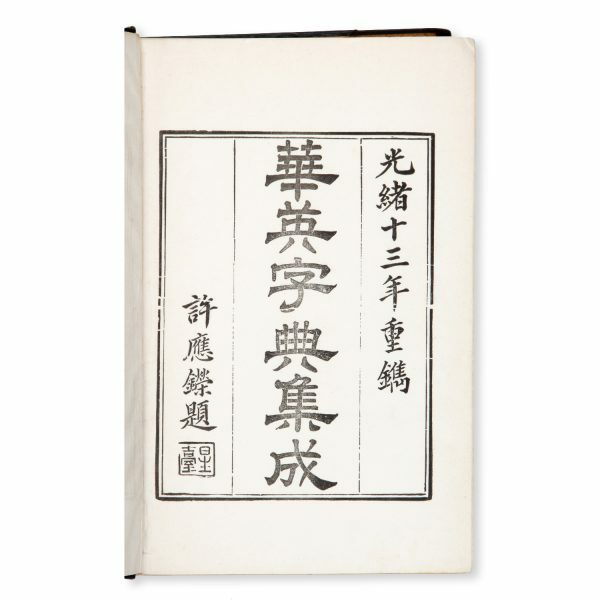 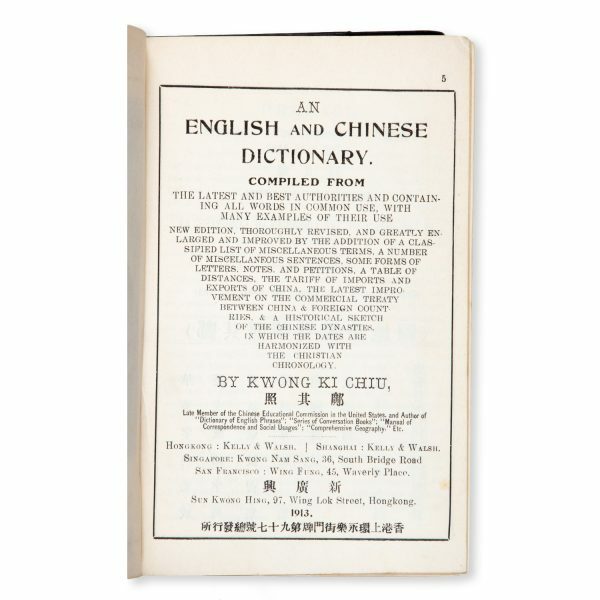 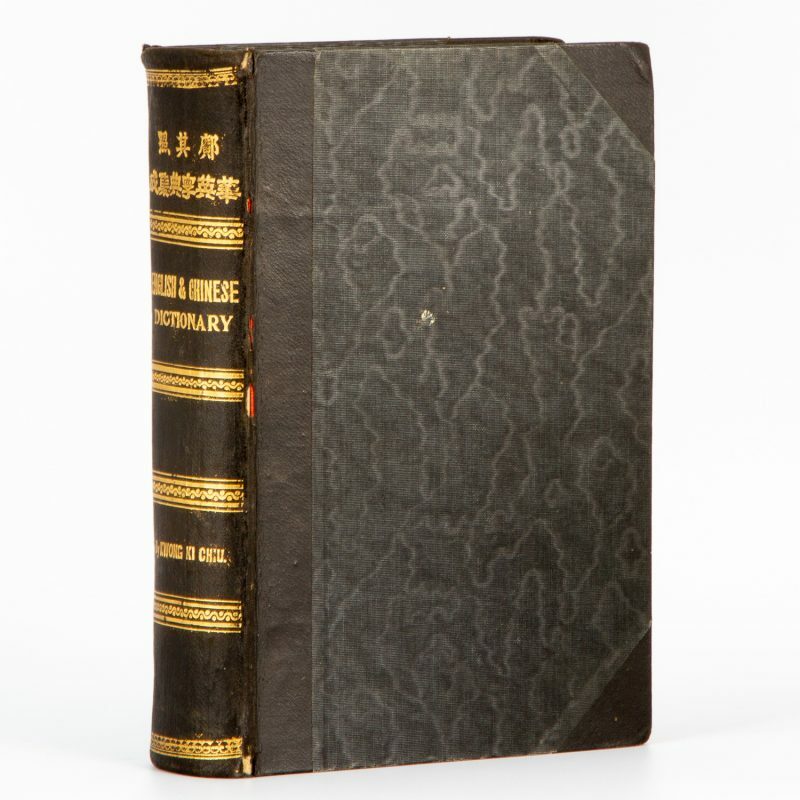 An English and Chinese dictionary. 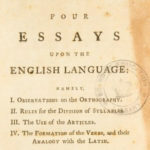 Compiled from the latest and best authorities and containing all words in common use, with many examples of their use. 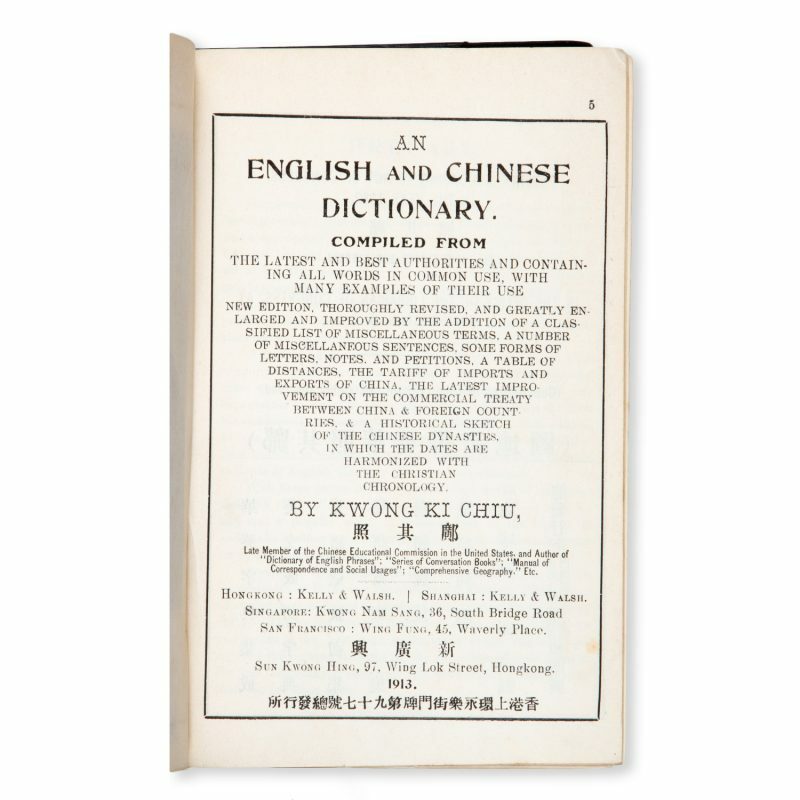 Hongkong and Shanghai : Kelly & Walsh ; Singapore : Kwong Nam Sang ; San Francisco : Wing Fung, 1913. Thick octavo, half roan over cloth covered boards (rubbed and lightly marked), spine with English and Chinese titles lettered in gilt, hinges strengthened with red cloth (first 30 pages of text block starting to loosen), separate title pages in Chinese and English, frontispiece portrait of Kwong Ki Chiu, pp 947, most of the text printed in double columns; contents very clean.